natural gas, oil, coal, or nuclear fuels to heat water,which creates steam and turns a turbine to generate electricity. There are many variations of this steam-turbine mechanism, but most non-renewable fuels used in electricity generation require water at some point in the process. For example, natural gas plants often use heated gas rather than steam to turn turbines, natural gas extraction itself requires a lot of water. 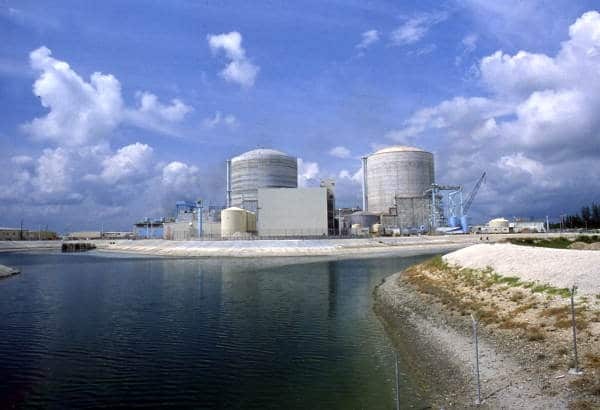 Nuclear power plants also use a lot of water to cool down reactor cores and used fuel rods. The process becomes complicated from a water consumption standpoint when you throw in the varying water needs of different methods and technologies within each fuel source. For the non-renewable source options, natural gas, on average, is one of the least water intensive. However, as the table below shows, water consumption at natural gas power plants varies widely because there are still some plants that use steam. In general, making electricity from non-thermal, renewable sources like wind and solar tends to be the least water intensive. How much water does an average Sarasota household need to keep the AC on? Using data from the City of Sarasota's Community-Level Greenhouse Gas Inventory and Ready for 100 meetings, the average residence in the city in 2017 used about 2,168 kWh per month. This is double the average rate in the state of Florida (1,081 kWh/month) and the national average (903 kWh/month). 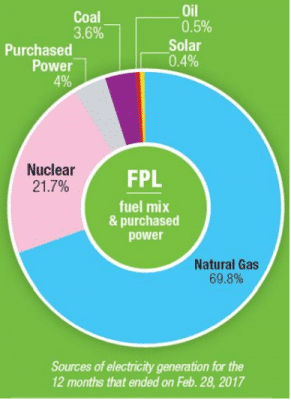 Based on the array of fuel sources used by FPL and varying water consumption needs between and within different fuels, the average city residence consumes anywhere from 48 - 2,256 gallons of water every month for power generation alone. This does not account for 4% of energy FLP states as "purchased power", and it only takes into account consumption of water, not total water usage, which would make the result much higher. Water availability in Florida will continue to be a challenge due to longer periods of drought and saltwater intrusion. Therefore, it's important to remember how our energy, food, transportation, and consumer goods are produced, brought to market, and disposed. Try keeping your home a little warmer. Turn your air low or off when you leave. Replace old lightbulbs with energy efficient LEDs. Yes, we've been hearing about this for years, but it actually helps. Read more here. Reduce your energy use during peak hours so FPL doesn't have to "fire up" more production to meet energy demands. Go solar (with storage!) Sarasota hosts solar co-ops for groups of homeowners that want to take advantage of bulk purchasing power. Visit Solar United Neighbors for more information. Make your next car purchase electric. (It takes 1 - 2.5 gallons of water to make 1 gallon of gasoline). Upgrade to energy and water efficient appliances, windows, doors, faucets, and showerheads. City of Sarasota Community-Level Greenhouse Gas Inventory, 2015. City of Sarasota Ready for 100 Meeting, December 20, 2017. Feeley, T.J., Skone, T.J., Stiegel, G.J., McNemar, A., Nemeth, M., Schimmoller, B.T., Murphy, J., Manfredo, L. (2008). Water: A Critical Resource in the Thermoelectric Power Industry. Energy. 33. 1-11. Grubert, E., Sanders, K. T. (2018). 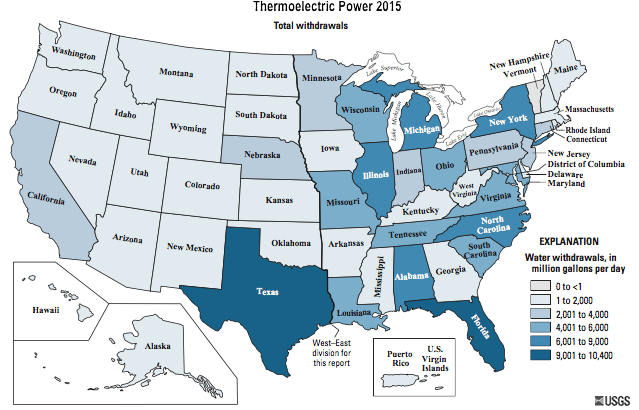 Water Use in the United States Energy System: A National Assessment and Unit Process Inventory of Water Consumption and Withdrawals. Environmental science & technology, (11). 6695.